Group Eating Out at Gressenhall Farm & Workhouse01362 860563work Group Eating OutEnjoy a day out to remember exploring this magical museum and historic farm set amidst 50 acres of beautiful Norfolk countryside. 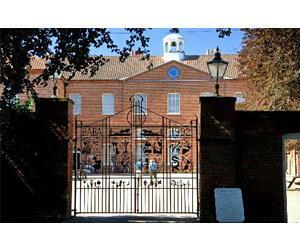 Discover the history of the workhouse and the story of the people who lived there. See recreations of traditional cottages and shops. Relax in our tranquil gardens or take a stroll round our atmospheric working farm with its rare breed animals. With substantial indoor displays and beautiful countryside to explore, we guarantee an enjoyable day whatever the weather.